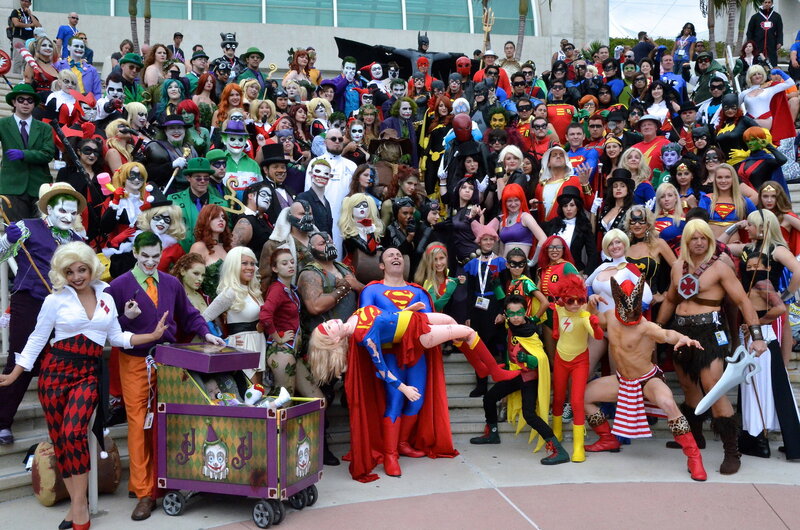 Comic book conventions have exploded in popularity in the wake of superhero movies’ box-office success. When San Diego first began holding what is now Comic-Con International, circa 1970, only about 300 people came, and for most of the event’s history, fewer than 10,000 attended. Over the course of the 1990s and early 2000s, that number gradually climbed toward 50,000, and since 2004, attendance has skyrocketed to over 167,000 in recent years, with tickets selling out almost instantly since 2008. Other conventions around the country have enjoyed a ripple effect in attendance. For example, this year’s Denver Comic Con drew 115,000 bringing $10 million in revenue to the home of Mile High Comics. 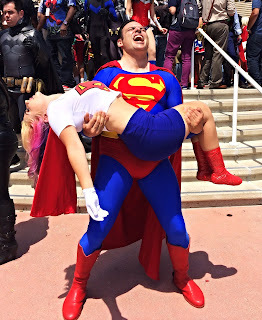 The growth of comic cons has made successfully attending and surviving a convention something of an art. Here are three tips for getting the most out of your convention experience whether you’re going to Comic-Con International or a smaller local venue. Being prepared is the most fundamental rule for a successful comic con experience. Bigger events such as Comic-Con International can sell out quickly, so find out if advance tickets are available for your con, and buy tickets as far in advance as you’re able. 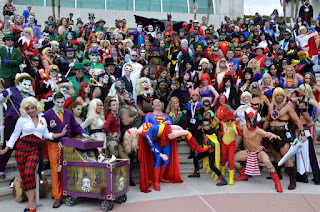 Sites such as Comic Con's provide online listings of major conventions by location and date. Your event’s website should also have information, and if you’re going to a local convention, your friendly neighborhood comic-book dealer should have some too. Make sure you know how to get to your event location. Study a map ahead of time, and bring along a printed map and GPS navigation system. If you’re traveling with a younger fan who has a learner’s permit, this might be a good opportunity for them to get some driving and map-reading practice in. Studying a map and schedule for your event venue is also a good idea. Many conventions will publish maps and schedules online. Find out where and when your favorite panels, cosplay events, and other activities will be held so that you can be sure to get to your destination on time and avoid scheduling conflicts. Plan what you’re going to eat, drink, and wear as well. Convention sites can be air-conditioned or cool down at night, so even in a warm location such as San Diego, be sure to bring clothes to stay warm. Lines at large conventions can be long and confusing, so be prepared to wait in line, advises Collider.com senior editor, Matt Goldberg. Arrive early enough to be on time for popular activities likely to have long lines. Bring something to do while you stand in line, and don't forget, socializing with other people in line can be fun. The San Diego Comic Con does not empty rooms after panels, and people often stand in a room for several panels to see a panel they’re interested in. This means that you need to arrive extra early if there’s a panel you really want to see. Another result is that panel lines sometimes get long enough to wind through each other, so double-check that you’re in the right line if you’re not sure. If you’re going to the convention to buy comics, the single most important item you can bring is a shopping list, advises collectors’ site, Shortboxed. There’s so much to buy at a comic con that you’ll be tempted to blow your budget on impulse buying, which can cost you the chance to get that special issue you’ve been searching for. Prioritize your purchases by writing a list in advance. Look up the prices for comics on your list so you know what price range to expect for issues in different conditions. Keep your list in a format you’ll be able to easily access while carrying comics around the convention, such as a small notebook or a list app on your smartphone. Along with a list, be sure to draw up a budget. Bring enough money to buy your priority issues, as well as having some money left over for discretionary spending on impulse buys.